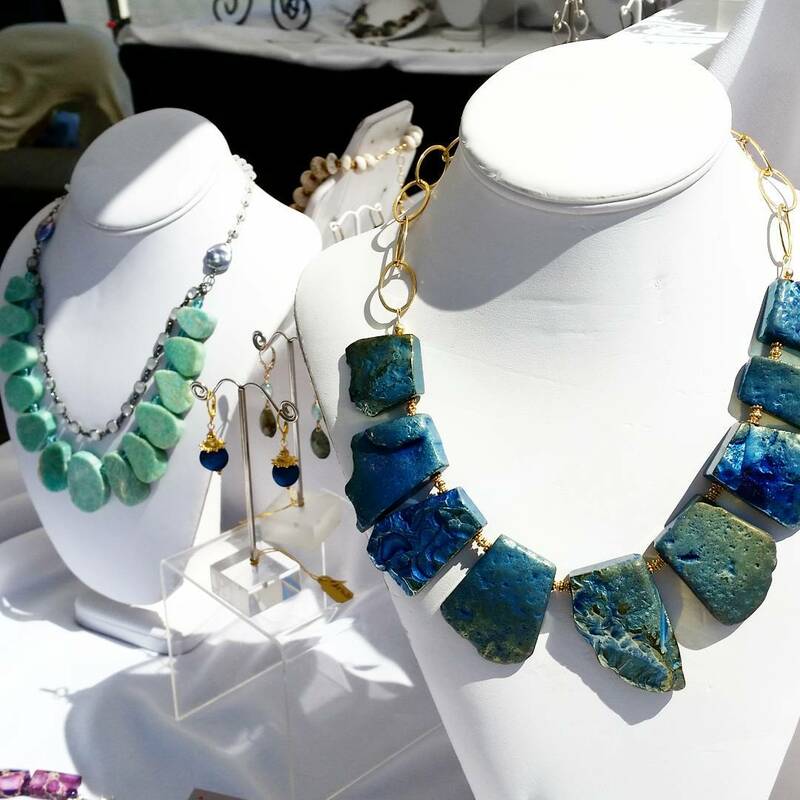 Meet Anne Marie of Hearts Desire Jewelry! If you are looking for plus size jewelry that is unique, uses great stones and gems, then you need to read on! I always advise fashionistas to complete their look with accessories. Accessories are like the icing to a cake! Through accessories, you can make or break an outfit. There are many types of accessories, but one of the challenges as a plus size woman can be an overlooked one, jewelry. Whether it is from necklaces, rings, or bracelets, finding the right jewelry that works with you rather than against you can oftentimes be a hurdle that most care not to tackle! To assist you with the feat, I would like to share with a local Bay Area jeweler, who also sells online, Anne Marie of Hearts Desire Jewelry! 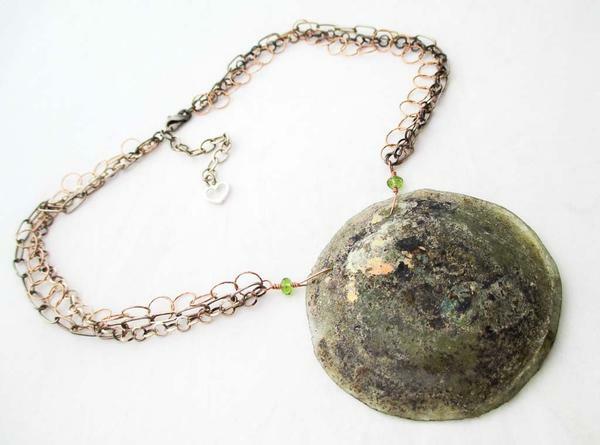 Anne Marie cherishes old jewelry parts as much as she adores keeping an eye on what’s current in fashion. Those inspirations mix in a style that expresses itself in many lights from vintage to modern organic to graphic. No matter which muse is speaking to her, the result is always stylish. Just as I ask each designer, we would like to know, who are wearing right now? What was your entre into designing jewelry? I have always had a passion for jewelry, always playing around in my mother’s jewels; always being creative in one medium or another. As a little girl, my mother showed me how to sew and before you knew it, I was designing Barbie doll dresses. As I got older, I would always design and create my gifts. Through high school, I got into painting and it has evolved since then. It was not until I went to a gem show that sparked me into wanting to do this for myself. Wow! You were creative! So then how did your hobby turn into the real deal? 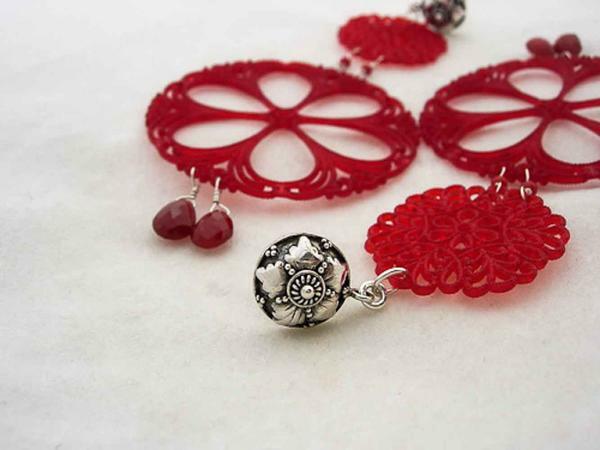 I wanted to design jewelry because it was the art personal adornment, which attracted me the most. My friend and business partner, Marie and I, started by going to bead shows together. From there we would have our own sessions, getting together to create pieces, and from there it evolved! Asides from your main line of jewelry, you have a dedicated plus line. What motivated you to create this line? As a plus size woman myself, I was frustrated that my only options for fashion jewelry were cheap costume jewelry pieces. While they can be nice, I wanted something fabulous and high quality that I enjoyed for myself. Therefore, I started making my own pieces. Soon I realized that no one else was making high fashion, high quality pieces. What allowances and differences do you apply to your plus line that is different from your main line? My plus size line is larger in scale and longer in length. In all pieces, delicate little fine jewelry did not look right on the fuller woman. What is your favorite piece right now? Ha! That is like asking to pick my favorite child! What else are you or Hearts Desire up to? I am the new jewelry editor for Bella online, articles to come soon! When you are making your pieces for the plus size fashionista, where do you pull inspiration from? What sparks my creativity is the actual gem itself. It is their uniqueness. When I sit down to create I let the gems speak to me. I do not always sketch, it’s an organic process. My creative energy gets channeled in different ways. What thoughts about plus size fashion could you leave us with? There seems to be a lot of excitement and a lot of buzz around plus size fashion, and I love that it is getting so much attention. I love that there are new options and designers coming onto the scene. Oh and P.S., we are having a mother’s day sale right now 20% off everything on the site! Use the code iheartmom to get your discount! Where do you shop for your fancy and playful jewels? Especially for our plus size hands and bodies? Let us know in the comments below! Chenese Lewis- A Plus Size Trailblazer Making Moves! Wonderful post. I added that site to my favorites. REally nice pieces. I have a few I have my eye on…. I really like the pearls. Those are gaining popularity, I’ve still yet to get a nice set. Thank you for sharing and see you on Twitter!